Ayurveda Natural Health News Weight Loss! There are many links between obesity, diet and toxicity but three of them are: chronic water retention from foods and spices that cause the body to store excess water, insufficient stomach acid from eating a diet of low carbohydrate and high protein and estrogen dominance from eating a diet high in endocrine disrupters such as pesticide and anti-biotic laden meats, GMO grains and vegetables. Other factors such as the overall societal-modern decrease in fiber which has caused toxins to store and stay in the body and the prevalence of using growth hormones to fatten and mature America’s livestock have only added more fuel to the obesity fire. It makes sense doesn’t it- that eating chicken and drinking milk from animals that have been forcibly aged and plumped up through genetic manipulation, drugs and chemicals can also produce premature aging and weight gain in the persons who consumes them? One can only assume that these substances that we consume also “consume” us. All of these factors work together to create an environment of toxicity which includes obesity, skin rashes, fatigue and subsequently attribute to chronic disease. In this article I will explain some of the outstanding points of Ann Louise Gittleman’s one day fast and how it compares to Stanley Burroughs ten day lemonade fast. Then I will also explain the points where I differ with Gittleman and Burroughs and what I use with my own clients to effectively loose weight, fast and detox. Hopefully, I will both educate you and inspire you to loose that extra weight and most importantly heal yourself! Food allergens affect the body in terms of the ever growing celiac disease and health problems such as obesity and chronic illness. A detailed explanation of how the body reacts to allergies is as follows: the immune system releases antibodies such as immunoglobulin G (IgG) which is found in the blood stream. When sensitive foods are consumed the body releases excess water and histamine when the IgG comes in contact with the food. Then the adrenal glands release three different hormones one of which is cortisol and cause one to feel depleted and tired. This causes an energy starvation and lowers the insulin levels and also lowers the neurotransmitters of serotonin which is produced in the hypothalmus, the part of the brain that controls hunger. At this point, the road splits, one can heal the gut by fasting and detox or one can succumb to the imprisoning and financially exhausting gluten/dairy free diet that so many parents with autistic children live with long term. It is has been my own experience, healing my own child from both autism and celiac and also working with others, that restrictive “diets” should be used short term as a catalyst. Thus, the body should be balanced and healthy enough to digest and metabolize food without a chronic allergic response. Stress is related to cortisol and cortisol is related to central body fat. Stress begins in the brain. The hypothalmus signals the nearby pituitary gland to release adrenocorticotropic hormone or (ACTH). After this the adrenal gland sends out stress hormones and it releases glucose and fatty acids to the muscles for energy. However, after stress has subsided cortisol levels remain high and stimulates the appetite. Sugary foods also prompt the body to make more cortisol and thereby more fat in the abdominal area. Cortisol activates enzymes to store fat, thus contributing to the apple shaped body. One can counter high cortisol levels by avoiding caffeine, alcohol and sugar. One can also counter high cortisol by enjoying something as simple as adequate sleep. Sleep and cortisol are entwined. High cortisol levels disturb moods and sleep. Too little sleep impairs the way your body handles food and stress resulting in insulin resistance and obesity. Gittleman asserts that as much as 70% of Americans suffer from sleep related disorders. In my own work and research I have found that obeying our bodies natural circadian rhythms is the most beneficial, this also aligns itself with Ayurvedic recommendations for sleep. The natural rhythms occur around 10pm to 5-6am for adults and between 7:30-8pm to 6-7am for children. The Waldorf School also recommends these hours for children. The fore mentioned information proves that detoxification is not just good practice and prudent but absolutely necessary. In regards to weight loss, attempting to lose weight without first detoxing releases a plethora of Pandora-esk type symptoms. Weight loss without detox causes one to lose weight and thereby lose fat. Fat loss causes us to weaken our bodies’ defenses to chemical toxicity. How so? As the fat melts in our body it releases the years of stored up poisons and chemicals. This means that new health problems arise while attempting to alleviate or cure old ones. Berkman is an environmentalist who has researched and found over 3,000 different synthetic chemical additives in our food that wreaks havoc on our bodies, especially our liver (Gittleman, 2002). When this is viewed in light of chemicals and poisons in our air, water, homes and cars-the numbers would be mind boggling. I also invite you to read my article on pharma-water, if you haven’t already. Pharma water which is the placement of thousands of pounds of dangerous drugs in our water supply by the elitist drug companies is another modern and very real threat to our bodies that also needs to be factored in. • A Vata/Kapha fast- Although Gittleman never refers to it as such, her fast called “Miracle Juice” includes warming spices like cinnamon, ginger and nutmeg. This makes the fast more “Ayurvedic” in nature and is a much needed contrast to the popular citrus/cooling fasts and detoxs like lemon and orange. Cold/citrus fasts work well for pitta/fire but can wreak havoc on those that are not. For those that tend to be cold and water (air and water) like me- Miracle Juice makes fasting more individualized therefore producing better results. • Probiotics are an important staple of our modern day living. This is because whether we as humans have been given a plethora of antibiotics to treat infection as children or we have eaten a plethora of antibiotics in food and “pharma” water, none of us have escaped the antibiotic epidemic of the modern era. So, after removing the build up with a detox fast it only makes sense to rebuild the intestines with healthy good bacteria. The ratio of good to bad bacteria should be 85/15. Good bacteria helps to synthesize vitamins, transport nutrients, break down disease causing toxins, produce enzymes and control LDL, better known as bad cholesterol. I myself use and make Kombucha a probiotic drink made from a mushroom, sugar and black tea. • CLA-The use of CLA which is conjugated linoleic acid helps to replace fat with muscle while dieting. CLA is found in organic grass fed cows. It also helps to prevent and control diabetes, prevents breast cancer, supports the immune system and helps with bone disorders such as osteoarthritis and osteoporosis. You can take CLA supplements or you can invest in quality organic grassfed meat. Obviously it is important to stop consuming grain fed, poisoned and anti-biotic laden beef (Gittleman, 2002). Not only is American beef chemically toxic but because of the low and dangerous standards in the cattle livestock industry it is also responsible for dementia and brain disease. The “mad cow disease” is hidden under different names under different names such as Creutzfeldt–Jakob disease and senility. It is grossly under-reported and hidden. • Do not consume pork. Pigs have no outlet to sweat other than their hooves and they are also home to dangerous disease producing parasites and trichinella furthermore the methods for preserving pork often include high doses of sodium and nitrates. • Say no to soy! My own research proves that soy is not only the most genetically engineered crop in the USA it is also, organic or non-organic a source of plant estrogens known as isoflavones. Excess estrogen causes endocrine disruption by first making the amino acid tryptophan, responsible for serotonin, im-metabolizing. Secondly, it creates hypothyroidism as a result of imbalanced ratios of estrogen to progesterone. With an imbalanced thyroid one the ability to produce balanced insulin is compromised. The third effect is either hyperglycemia or hypoglycemia. Research shows that soy baby formula is the equivalent of 3-5 birth control pills a day! Soy has been linked to not just weight gain but breast cancer, early puberty, genital birth defects and “gender confusion” (Daniel, 2004). On a lighter note, Gittleman explains that soy protein found in drinks and energy bars are incomplete proteins and therefore disrupt mineral absorption. • Oil-Refreshingly, she recommends organic butter and oils such as flax and GLA. These oils produce satiety (a feeling of fullness), helps blood sugar, hormones, weight loss and skin. I found oil to be an important continued area of focus in her two diet books. • Sauna- Pulling toxins through the skin, the largest excretory organ of our body the skin, it is an important form of detox for vata and kapha constitutions (air and water). I employ infra-red sauna in my own practice as well. I believe that anything can be improved upon and in this case, Gittleman’s diet recommendations need a bit of fine tuning. I myself have been an avid user and promoter of the “Master Cleanse” fast by Stanley Burroughs. This Lemonade fast which consists of drinking fresh squeezed organic lemon water, grade B maple syrup and cayenne pepper is highly useful for many disorders. It both prevents and eliminates congestion and mucus in the body and alkalizes a high acid body system (Burroughs, 1976). However, I believe both Gittleman and Burrough’s one fast fits all approach were missing something. In my own practice I have successfully used both approaches by determining the person’s dosha/constitution. By using a pulse diagnosis, a body analysis chart, tongue exam and urine specimen; I can quickly come to terms with how to proceed with a detox fast. 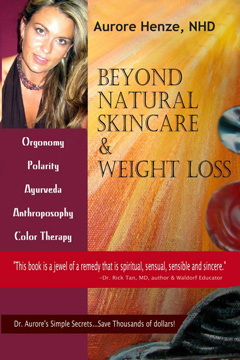 In general many people seeking to loose weight are suffering from tri-dosha imbalance. In layman’s terms it means they have too much kapha (water retention-mucus), too much vata (constipation) and too much pitta (acne, skin disorders). In this way when comparing fasts I felt that Gittleman’s fast juice addressed all doshas more successfully than Burroughs by adding warming herbs to the citrus fruit juice . Furthermore, I have already asserted in my book “Beyond Natural Cures” that pitta or fire was the closest dosha to homo-normalis because of the pitta ability to “release” fluid, waste, emotions, energy, etc. The process of detoxifying is both removing the excess water in the tissues and removing the waste and built up toxins, which inevitably come out on the skin and through the colon. The journey of the fast detox is towards-movement and release. However, constipation continues to be a problem with fasting. This tells me, that the fast one is using is not dosha specific. • The use of Stevia as a sweetener-I hold strongly to the benefits of raw (unpasteurized) organic grade B maple syrup and honey. Stevia interferes with carbohydrate metabolism, causes reproductive harm and mutates the DNA of rats (Schardt, 2000). Thus Gittleman’s recommendation for Stevia throughout the fast makes it inferior to the syrup and honey and even toxic. • Milk, butter, cheese and whey- Gittleman made no distinction between raw milk and pasteurized /homogenized milk, the first is easily metabolized and filled with vitamins, minerals, fatty acids and enzymes and the latter is a dead white liquid that has burned away all of its nutrients-is not assimilated into the body. For me, I am a follower of the “Nourishing Traditions” diet that advocates the use of rich foods to feed our brain and body. While she touches upon that slightly, by recommending grass-fed beef for CLA, she comes up short and even miseducated when recommending or not recommending dairy-based on her ignorance of the benefits of organic raw dairy products. • Avoidance of Grains like Wheat and Barley- Again, there is a strong distinction between breads and grain that have been milled in warehouses and sitting on shelves and grain that have been freshly ground and filled with vitamins and enzymes which breakdown in less than 24 hours. I don’t believe Gittleman gives grain a fair chance. In her book she recommends one to live on fruit flavored eggs and veggies and has thrown most all grain choices out the window. While I know that celiac disease is a problem, with my own son who was healed of celiac, he can tolerate freshly ground grains easily. Maybe the allergy isn’t as much as a gluten allergy as much as it is an allergy to “overly processed, genetically modified,deflated, soft foods.” I have a grain grinder at home and make fresh bread for my family two to three times a week it is quite easy, delicious and healthy. • The One Day Fast- I am quite sure that Gittleman was looking for something less intimidating and easy, but in my own personal experience the body needs at least two days to start releasing. The first day the body goes into a bit of a shock and transition period and the subsequent days are usually followed with changes in the bowel, kidney and liver. She has done an excellent job for preparing and finishing the detox with a week before and after but for me, I would do it differently. It should be also noted that Burroughs recommends a minimum of 10 days for the lemonade fast. This tells us there is room for compromise in this area. I combine the Gittleman detox with Stanley Burrows lemonade fast. Do not think I have thrown out the lemonade fast, because I still believe it is one of the easiest catalyst for healing disease to this day. However, I use a variant of Gittleman’s fast drink for the first day, which I individualize for each person to effectively pull that excess water from tissues. I have improved upon the both detoxes by utilizing ayurvedic or dosha specific native herbs for before and after the detox. Gittleman’s one herb fits every constitution approach will work against people rather than for them. For instance, the herbs she recommends for liver are all very cooling, this could upset ones goal of ultimate weight loss. I recommend a two- three day specialized dosha specific Ayurvedic fast, the first day as fore mentioned and the second day following sometimes,but not always Burrows. I recommend the lemonade with cayenne throughout the day and also using kombucha pro-biotic drink three times as well. I also incorporate the following the following protocol in office, for web clientele I use an alternative approach. Aloe vera juice, which balances all three constitutions, is also implemented. • 15 minutes on the chi machine to move the lymph, circulate the blood and help digestion. • One hour color treatment-in the Aurora’chrome machine to stimulate and heal the liver, pituitary gland, hypothalamus, and intestines. Color therapy is extremely effective during a fast. Simple detox baths to help pull toxins from the skin. * Individualized ayurvedic herbal recommendations, according to dosha/constitution-not one size fits all, which is so prevalent. * Fasting with herbal detoxing-to pull toxins, color therapy and constitutional homeopathy- to rebuild organs and increase metabolization. Gittleman, Ann Louise (2005). The Fast track detox diet. New York, NY: Double Day Broadway. Gittleman, Ann Louise (2002). The Fat flush plan. New York, NY: McGraw Hill. Burroughs, Stanley (1976). Healing for the age of enlightenment. Health Letter April 2000 Web.6 Sep 2009.